Do you use Twitter to help you learn English? Other uses? Still don't get Twitter? This micro-blogging network is a useful tool for finding out what's going on with the people and things that matter to you the most. It is also a good learning tool. More and more learners are using Twitter in the classroom and learning on their own. With this simple and engaging tutorial, you can learn various ways to use Twitter. 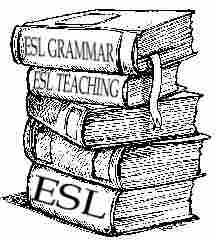 The site is a free, on-line, educational resource for ESL and EFL students to learn English words. The flash site incorporates 40 topics, along with over 1,500 English words and phrases. When you click on a word or phrase you can hear it spoken. The high quality audio was created in a sound studio. The site is multilingual. The menus, transliterations and translations are in four languages: French, Hebrew Russian and Spanish. There is an English Only menu, for those that prefer not to use language translations and transliterations. Both the student and the teacher will find the site easy to use and very educational. As mentioned, the site is free to all. Feedback (in English) is welcome. "Academic English is the genre of English used in the world of research, study, teaching and universities. If you read an article in an academic journal or listen to someone giving a presentation or a talk about an academic subject in an academic environment, Academic English is probably being used. If you are studying in an English speaking university (or going to) you will need to learn this type of English. Native English speakers also have to learn Academic English too because it is not like the English that is used every day by English speakers. Academic English is different from other types of English and it often has features like these..."